Studies have shown the adverse effects of poor nutrition among public school students. Concentration, critical thinking, creativity, and even their social abilities may be negatively affected. Some students who do not have enough money for food attend classes with an empty stomach or choose junk food as an alternative. 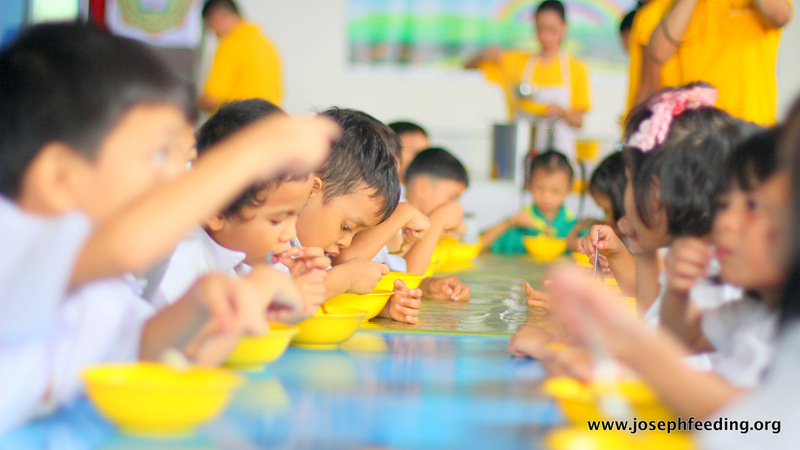 JFM Feeding Program's goal is to supply clean & nutritious food to public school children & promote better nutrition among public school students. HELP POOR PARENTS BY SHOULDERING THEIR CHILDREN'S "SCHOOL BAON EXPENSE"
Word Food Programme reported that “families living in extreme poverty cannot afford nutritious meals; hence compromising their children’s health.” JFM’s goal is TO HELP struggling PARENTS financially by shouldering their children’s “school baon expense”. We believe that people grow when they are loved well. It is reported that well-nourished children perform better in school, grow into healthier adults and in the process are able to give their own children a better start in life. In the long run, investing in children's nutrition will benefit the country's economy and future generation. During school meal break, JFM Team will set up a meal stand & distribute clean & nutritious meals to students. We will monitor & evaluate the children's development through the teachers & School Feeding Representative.